Please prepare 32 bars of a song in the style of the show prepared with sheet music for the accompanist. No One should be afraid to audition, singing Happy Birthday is acceptable, but please sing it with style to show off your own special personality, or you may be asked to sing it like a specific character from the show. Please bring your head shot and resume in hand with you to the audition. No Professional Head Shot is needed - Any picture of yourself is fine. A general rehearsal schedule will be available at auditions. Cruella is the rich, fashion-forward antagonist of the story who harbors a penchant for puppy fur. Ruthless and impulsive, she should command the stage with dramatic flair and brassiness. Roger, married to Anita, is the soft-spoken yet confident composer and owner of Pongo and Perdita. His relaxed form of leadership acts as a contrast to the frenetic Cruella. He should be a strong actor, singer, and mover with an adult bearing that sets him apart from the more immature puppies. Anita, wife of Roger, is a sweet and nurturing painter whose kind disposition acts as a stark contrast to Cruella's cruelty. Horace and Jasper, Cruella’s two henchmen for hire, provide the show’s comic relief à la Abbott and Costello or Laurel and Hardy. We are looking for actors with strong comedic timing who can excel at physical comedy. While not necessary, these two can speak with Cockney accents. Perdita and Pongo, the puppies’ parents, have similar dispositions to their owners, Roger and Anita. These roles do not require solo singing. Perdita and Pongo’s funny and spirited pups. Nanny is the warm yet outspoken housekeeper to Roger and Anita. This is a small role that requires a strong speaking voice (no singing required). The Dogs of London include the Boxers, Scotties, Poodles, and Chihuahuas that assist Perdita and Pongo in saving their puppies. All should be comfortable embodying the physical movement of their particular breed. These dogs help to tell the story and are part of your Dogs of London ensemble (see above). Dognapped by Cruella, these Dalmatian pups come in halfway through the play. 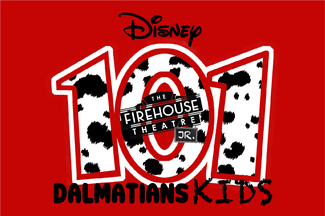 Freckles and Spotty, two Dalmatian puppies stolen by Cruella. Sergeant Tibbs is the army cat that rallies the Dogs of London to rescue the puppies. The Police Officer arrests the villains at the end of the show. The Dogcatcher appears at show’s end to dramatically remove Cruella from the scene.